The lake temperature here at Lake Del Valle has been hovering at the 68-72-degree range. The catfish have also been biting, with many large catfish being caught out by the dam. As the water drops, the structures in the water will become more exposed making them even more prime spots to fish for the catfish. The deep water by the dam has also been producing. 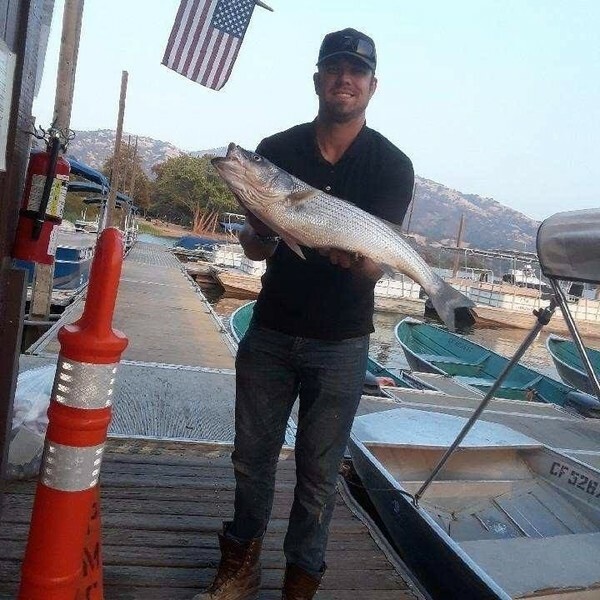 Anchovies, chicken liver, and mackerel are the best baits to use with mackerel being the recommended bait to use by Captain Jacob at the Lake Del Valle Marina! 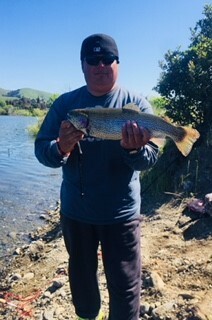 Trout fishing is still slow, with only a few anglers reporting catching them. They are in deep water, along the dam where water temperatures are low. Trout plants should start in October, as soon as water temperatures cool down. The smallmouth and largemouth bass have been hungry with many decent-sized bass caught fishing the lower narrows. With water levels lowering, the reed beds are out of the water, so fishing the fallen trees in the water or fishing in the coves are good places to try to find them. Fishing from a boat is the way to go for bass. Bass can be tricky out here, so covering a lot of ground is important if you want to pull out some of the big fish in the lake. Striped bass have been boiling out in Heron Bay and by the dam, although it is tough to get them to bite on anything that cannot imitate the shade. Rubber flukes and rattletraps are a good bet, although the striped bass have been very picky on the boils. Cut bait has been more reliable for catching striper; anchovies are the main bait that anglers are using right now, but mackerel are also doing well for larger fish and for casting into the deep channel.